The new year always motivates me to clean and organize. I try to do as much as possible during January, mostly because it’s when I’m most motivated. By about mid-February, I admit that I no longer really feel it. So, I start with the most used room first – the kitchen. 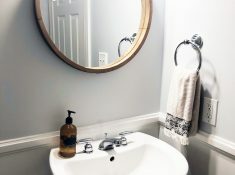 It also tends to get cluttered quickly, so having a spot for everything helps to keep it less cluttered all year long. I’ve been following A Bowl Full of Lemons’ Organization Challenges. This is not the first year I have tried the Challenge, so I have learned a little bit along the way. Organizing the kitchen doesn’t have to be painful! 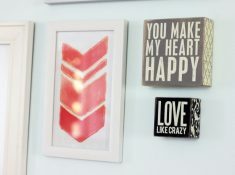 I have 5 tips to help create joy in the kitchen, by making it a space that isn’t overwhelming. Before doing anything else, purging will help make your life so much better. Once or twice a year, I go through kitchen drawers and cabinets to see what needs to be cleaned out. For the refrigerator, I try to do it monthly. I go through the kitchen purge any duplicates, chipped or broken items and expired foods. For example, I often end up with duplicate spices. Once I year, I transfer many of the spices to little containers, then throw out any duplicates I have acquired. I used to group like items together. But, now I have created zones based on how I use the items. For example, I have one cabinet with two drawers. The top drawer includes mixing bowls. The drawer below contains baking items, such as flour, sugar, baking soda, etc. This is the Baking Zone of my kitchen. That way, when I start baking cookies or something like that, all the items I need are in one area. Another cabinet has coffee and tea supplies. That cabinet is near the sink and the coffee maker so everything is close together. This helps to save time in the morning when getting a morning beverage together. Most of my drawers and cabinets have some type of baskets or organization containers to keep then together and divided. I often take items out of the original packaging and place them in the baskets. For example, with tea bags, I take them out of the original box, then place all of the tea bags together in one box. In addition to baskets, dividers are a must have. Most people use dividers in utensil drawers. But, you can use them other places, too. I have a pot lid divider in my drawer that holds pots. In my pan cabinet, I used a pan holder or divider. 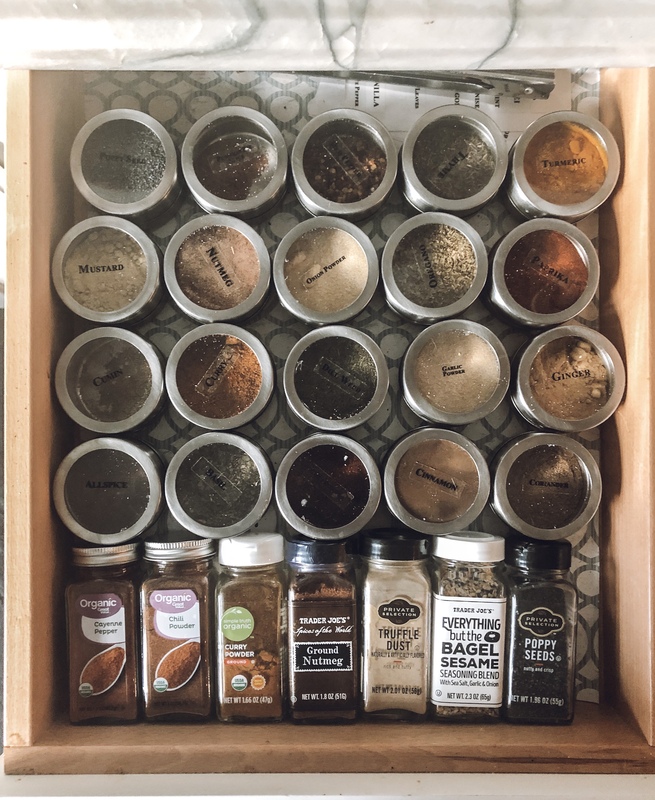 For my spices, I use mini spice containers to divide my most used spices. 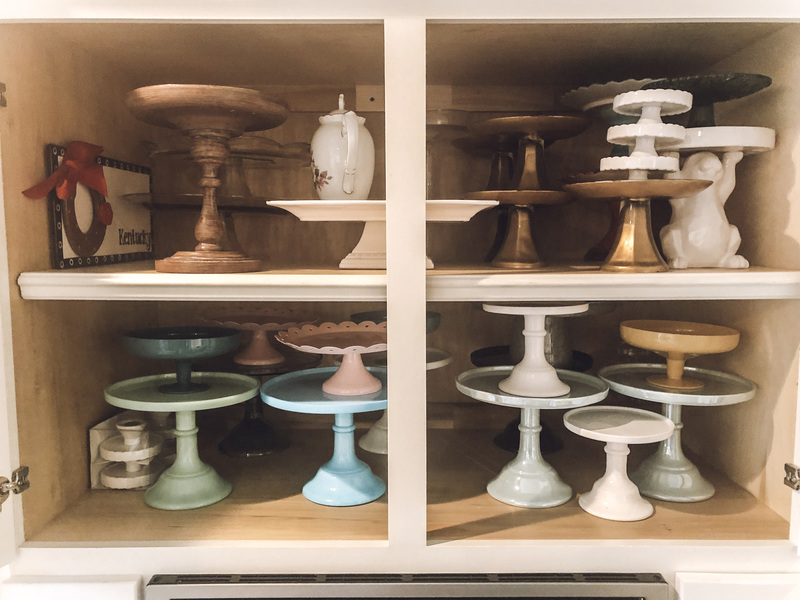 They used to be all standing in jars in a cabinet, but I was constantly moving them around and searching for the one I wanted. Putting them in the drawer, in these little dividers, will make them easier to find. Also, I store oils and vinegars in a corner cabinet near by stovetop, since that’s where I used them the most. I have dividers so the they are separated by oils and vinegars and not all mixed together. Many kitchens have spice racks built into one cabinet door. However, you can get other cabinet racks to help you organize. My favorite place to use the door space is on my cleaning cabinet door. 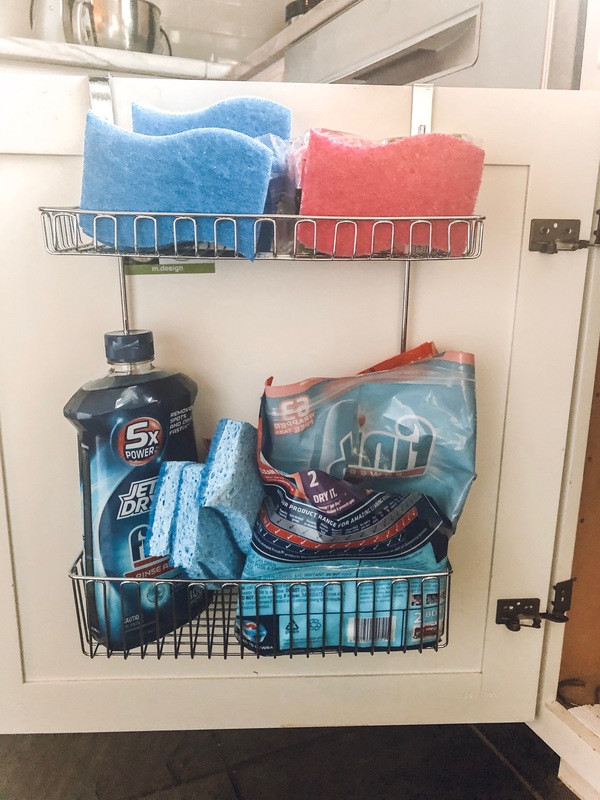 One side holds dish washing supplies, like sponges and dishwasher tablets. The other door, holds my most used cleaning products, like magic erasers, window cleaner and all purpose cleaner. Once I finish organizing and cleaning my kitchen, the final step is to light a scented candle. This last steps just signals to me it’s all done and ready to enjoy. 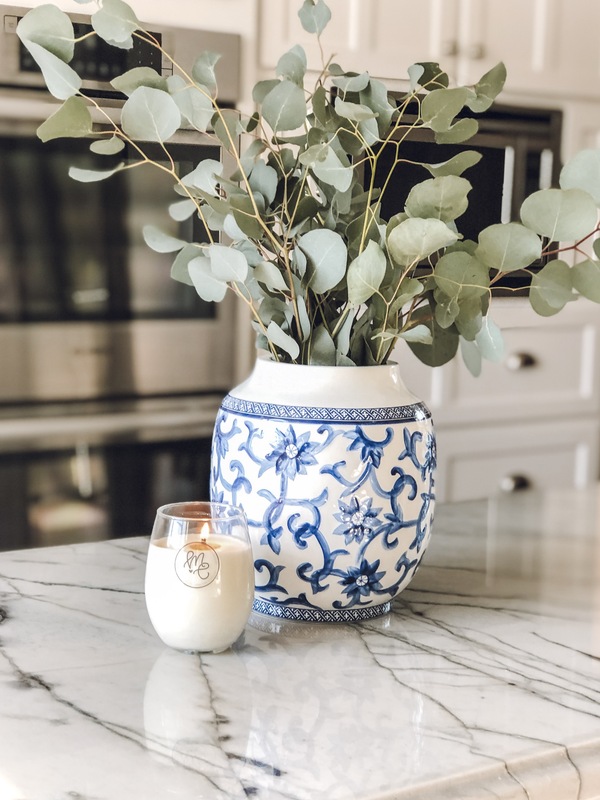 Lighting a candle definitely helps to create joy because studies have shows that good smells are directly linked to our sense of happiness. 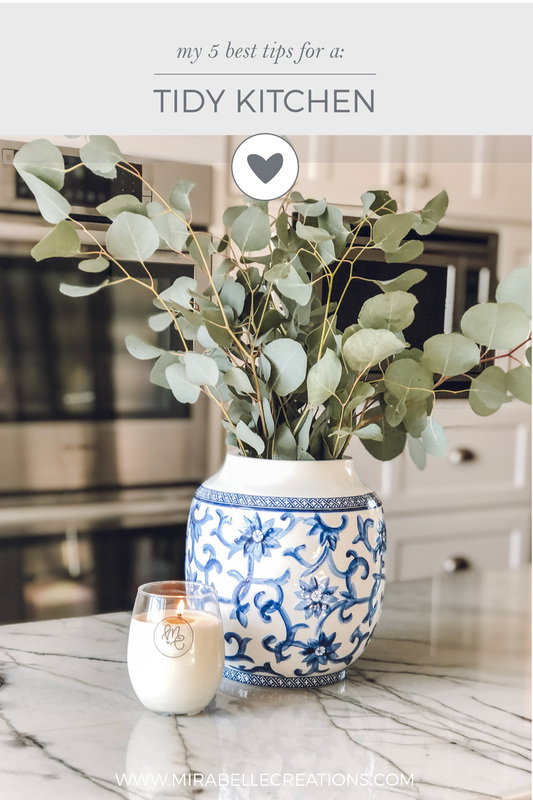 Choose one our natural, soy wine glass candles for a natural way to release scents in your kitchen without releasing a lot of toxins. I hope these tips can help you create a more functional and organized space in the new year! 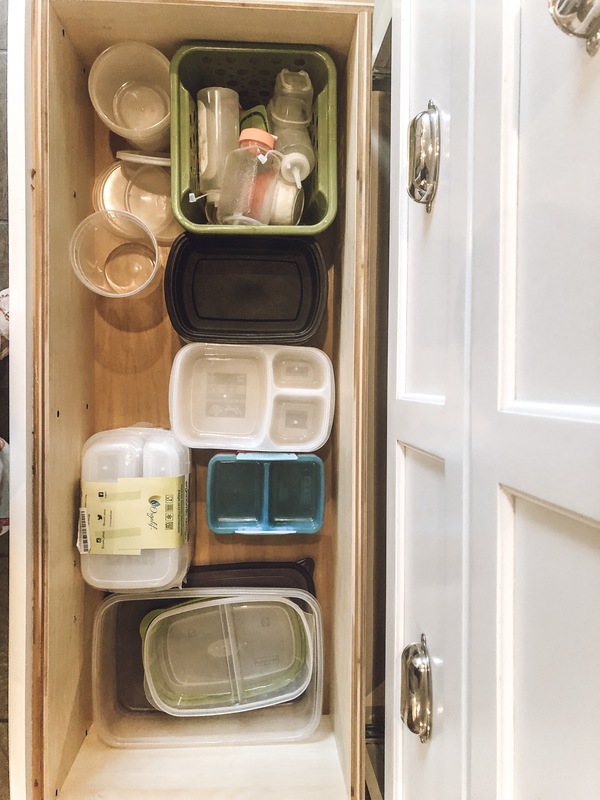 If you have any great kitchen organizing tips, let me know in the comments at the end of this post! June Print of the Month is Here!